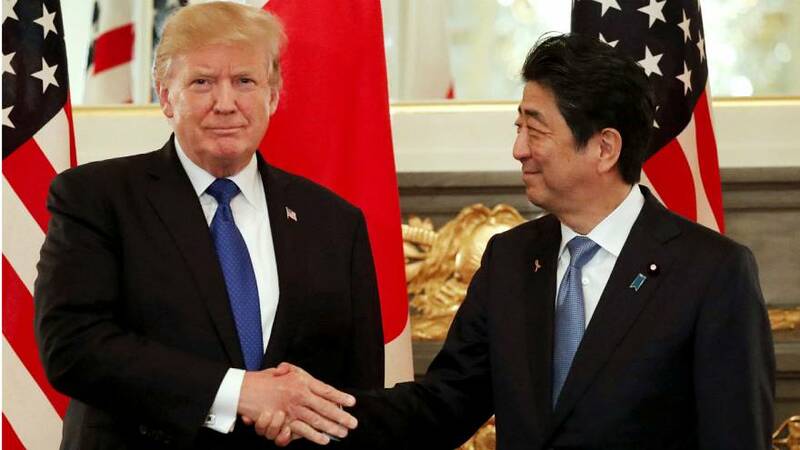 During his trip to Asia this week, Donald Trump made the assumption that he didn’t think the Japanse economy was “as good” as the US economy. “You’ve built one of the world’s most powerful economies,” came praise from the US president, “I don’t know if it’s as good as ours, I think not,” he added. Is it possible, as Trump’s statement suggests, to compare two countries’ economies and which indicators would we use to do so? GDP per capita is considered a baseline when comparing two economies. Using this measure, Trump’s comments are founded, with the US ahead of Japan in rankings from both the International Monetary Fund (US:11th place, Japan:28th place) and the World Bank (US:9th place, Japan:22nd place). This is, however, a very basic comparison, according to Gianmarco Ottaviano, professor of Economics at the London School of Economics, who told Euronews that a deeper analysis of the two economies would include several indicators including GDP growth, productivity and net export performance, among others. America came out on top in terms of GDP growth in 2016 at 1.6 percent in the World Bank’s ranking, with Japan further behind at one percent. The US was the world’s fifth most productive country in 2015 data from the Organization for Economic Cooperation and Development (OECD), while Japan was much lower ranked at number 20. When we consider trade balance data, with net exports for Japan accounting for 2.4% of its GDP and net imports for the US as large as 4.3% of their GDP, America bags the top spot yet again. Ottaviano said that the ‘boom’ period for Japan’s economy was in the 80s, but it has since stalled, despite remaining a dynamic economy that is strong in trade in areas like technology. “China is the new Japan,” he added, saying that Japan should consider both liberalising its trade in the automotive industry and positioning themselves in global value chains, a measure the country has already put in motion. However, he also qualified that it is important to consider what an economy can for its citizens and that there are issues in the US, such as inequality, that are not present in Japan – a recent survey of global wealth by Credit Suisse cited Japan as the most equal major economy in the world in terms of wealth distribution.